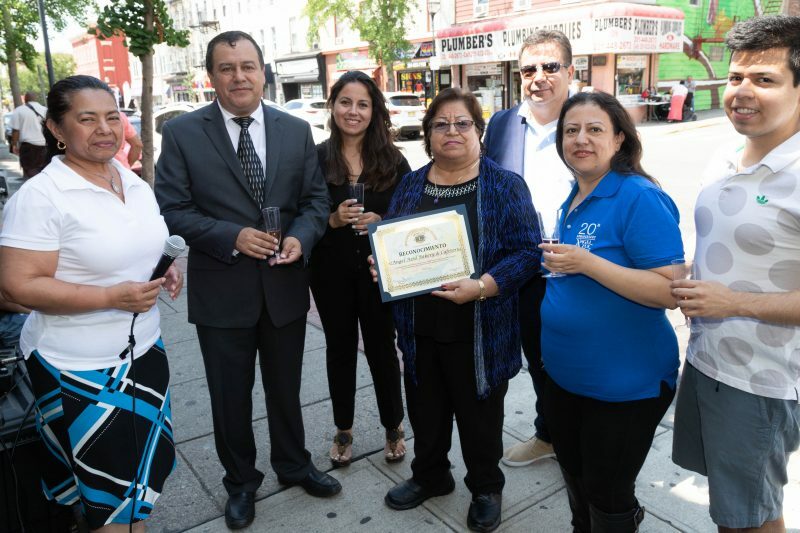 Located in Jersey City Heights, Angel Azul Bakery has been serving its community with heavenly Ecuadorian and Colombian flavors since 1998. This restaurant specializes in Latin American & South American pastries and foods. We offer freshly made goods from our own bakery such as breads, pastries, and empanadas along with a variety of menu and snack selections. There are also plenty of hot coffee blends and fresh juices to complement any meal or tasty snack. 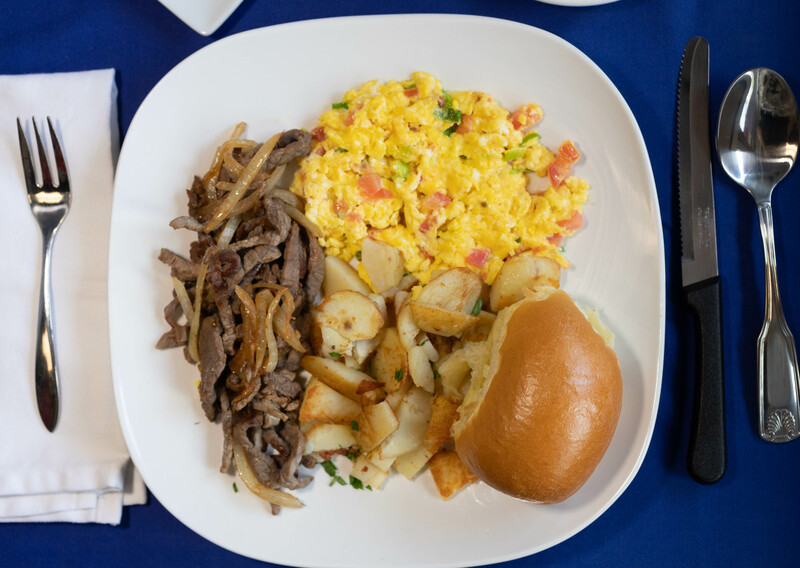 Try our Colombian breakfast with scrambled eggs, cheese, tomatoes and onions with an arepa (a corn tortilla). Or perhaps you can have the Ecuadorian breakfast which is plantains, eggs and coffee. Or, try our farm fresh eggs prepared to your liking along with steak, ham, bacon or special Colombian sausage. We are also working on a healthy menu which will include a vegetarian option. 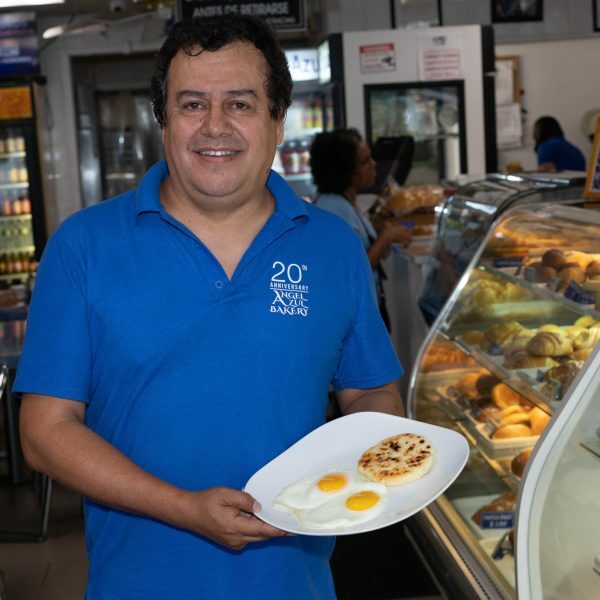 Our bakery recently celebrated twenty years in business! Eddy Gallo (son) came to America in 1990 from Ecuador. He explains, “When I first arrived, Jersey City Heights was mostly Italian Americans and Central Avenue was different than it is today. Eddy is an IT professional and he helps with the family business. Along with his wife, he still lives in the Heights. There is a close bond that keeps this family together along with a dedication to great tasting food and outstanding service at the Angel Azul Bakery.